Cynthia Duncan, author of Unraveling the Real, reveals why she is attracted to ghost stories and Latin American ficciones. When I was a little girl, I loved old fashioned ghost stories. I liked the idea that within the everyday world I inhabited there could be magical and mysterious things with no rational explanation. It made the world much more exciting, like there was the promise of something beyond what I could touch, see, or hear around me. It opened the doors to my imagination, and to a love of reading and watching films about these other worlds. The books and films I loved the most weren’t about fantasy creatures that lived on other planets or mutant monsters who ripped off heads and stomped on skyscrapers. I loved the more subtle forms, set in the everyday real world I could recognize as my own, where the supernatural was only suggested, never overt, and fear was balanced out by doubt and disbelief. I remember an old T.V. show, maybe something from The Outer Limits or The Twilight Zone, that haunted me for years. The ghost of a beautiful, vain woman lived inside an old mirror, and she punished any other woman foolish enough to spend too much time admiring her own beauty by reaching through the glass and dragging her to the other side. This seemed both logical and possible to me, although, of course, improbable. The supernatural wasn’t random and inexplicable; it erupted into the real world as a moral warning, or a kind of vengeance. Stories like “The Telltale Heart” and “The Monkey’s Paw” fascinated me, because they slipped so effortlessly between the recognizable world of the reader and the seemingly unreal. I could read them again and again without ever reaching any conclusion about why things happened as they did. The uncertainty of the texts fascinated me. It wasn’t until I was in graduate school, when I took a seminar in Spanish American fantastic literature, that I learned there was a name for the kind of fiction I loved. I had by then read most of the short stories I could find by Jorge Luis Borges, Julio Cortázar, Carlos Fuentes, Elena Garro, and others who would later find their way into my book, Unraveling the Real. But I didn’t know how to think about them critically. There was so much disagreement and vagueness in all the theory I read about fantastic literature. I was deeply attracted to magical realism at the time, which focused on the clash between the so-called “primitive” worldview of marginalized people in Latin America and the more modern, “developed” worldview of western European settlers. The political implications of this literature were limitless, and invited dialogue about the impact of colonialism and neo-colonialism on Latin American letters. Many people dismissed the fantastic as an outdated mode of expression, something that had no relevance in the 20th century, and that was essentially escapist in nature, not a true representation of Latin American reality. I knew instinctively that this attitude was misguided and wrong. My desire to vindicate the fantastic as a valid and important mode of expression in Spanish American literature and film motivated me to specialize in this kind of fiction, and to write a book about it. Some of the stories I write about in Unraveling the Real are my favorite works of literature in the Spanish language. Julio Cortázar “Continuidad de los parques” is one of the most perfectly crafted short stories I’ve ever encountered. Every word matters, and the text is absolutely seamless in its construction. 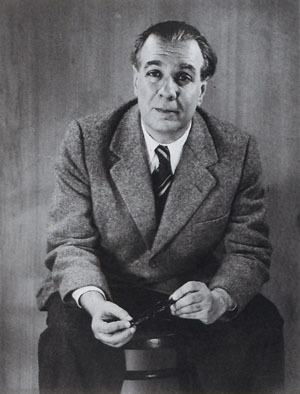 Borges’ “El sur” and Carlos Fuentes’ “Chac Mool” speak volumes about the alienation of modern man in the giant metropolis, but also about the way Argentines and Mexicans think about themselves and their place in history. Elena Garro’s “La culpa es de los tlaxcaltecas” and Silvino Ocampo’s “La casa de azúcar” are as relevant today as they were when written. They talk about the difficulties of human relationships, and the way women have been marginalized from male-dominated discourse. No te mueras sin decirme adónde vas is, quite simply, the most romantic movie I’ve ever seen and, every time I watch it, it takes my breath away with its message about love and redemption. I hope that readers of Unraveling the Real will come to share the same profound affection and interest I have in the fantastic in Latin America, and it will show, beyond doubt, that the metaphysical, political, and social issues the fantastic treats in fiction still resonate in the world around us. In this blog entry, From Warism to Pacifism: A Moral Continuum author Duane L. Cady re-evaluates how attitudes towards warism and pacifism have transformed in the two decades between editions. 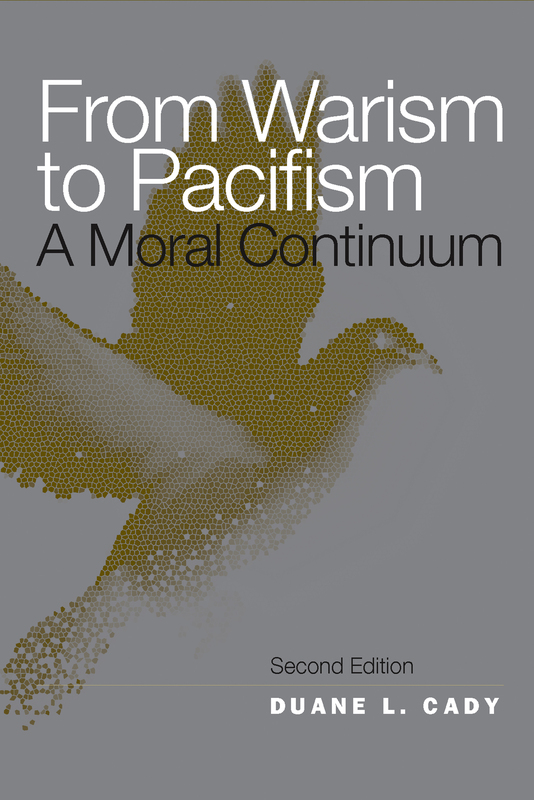 The original edition of From Warism to Pacifism: A Moral Continuum was published in the 1980s, at the height of the nuclear arms race in the closing decade of the Cold War. The prospect of a second edition twenty years later provided an opportunity to return to my early work to test and refine my ideas in light of subsequent events. It has been both challenging and fun to have worked on revising this book. From Warism to Pacifism first appeared in early1989, when the fall of the Berlin Wall and collapse of the Soviet Union were not expected. Nelson Mandela was imprisoned in South Africa as a banned person; one could hardly imagine his release much less his election as president of a non-racial government in his homeland. The North American Free Trade Agreement (NAFTA) and the General Agreement on Tariffs and Trade (GATT) were not yet dominating the news, and economic globalization was not a predominant force in international relations. Perhaps most significantly, the suicide/murder terrorist attacks of September 11, 2001, were more than a decade away. The world in which the first edition of From Warism to Pacifism: A Moral Continuum was written was, in many ways, a different world from the one we’re in today. Despite the contrasting conditions of 1989 and 2010, one constant stood out as I reflected on my work: warism. Nations continue to take war for granted as a normal, natural, and morally justifiable practice; war is merely what a nation does to protect its territory and interests. Rarely does it occur to leaders–then or now–that preparing for and engaging in war may actually put their nations and their interests at greater risk or that war may not be morally justifiable. Like racism and sexism, warism serves as an unexamined–largely unnoticed–perspective through which events are experienced. Exposing and reflecting critically on warism continues to be crucial to understand and reduce violent interactions among nations. As we become conscious of our warist predispositions, space is made for thinking critically about the just war tradition and about varieties of pacifism. We end up finding not the stereotyped extreme positions of war realism, just war, and absolute pacifism. Rather, we find a wide range of moral positions on war along a moral restraint continuum: differences of degree over when and how violence may be justified. In writing the second edition, I found myself retaining the broad categories and arguments of the first edition but refreshing the text with updated examples. I also found my respect had grown for how difficult it is to think through the complex problems of morality and war. I liked the first book; I like the second edition more. I think the main lines of argument–exposing warism, seeing just war and pacifism as differences in degree of moral restraint in war, and thinking through the positive peace aspect of pacifism–all hold up well as new ways to reflect on morality and violence. And I was glad to have the chance to add a new chapter, “Nonviolence and the War on Terror,” to extend the thesis to perhaps the most difficult problem modern nations face today. 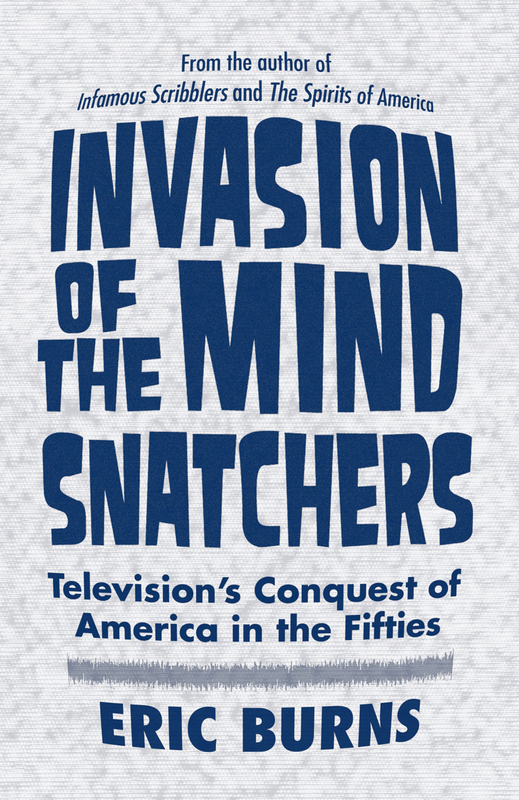 Eric Burns talks about growing up with television in this Q&A for his new book Invasion of the Mind Snatchers. Q: You were part of the first generation to grow up watching television—acting out your favorite programs and buying the merchandise the performers promoted. What do you recall about television’s early days? A:What I recall most is watching cowboy shows, then donning my cap and holster and running outside to play with my friends. I was the oldest, so I got to pick the good guys and bad guys and even decided on most of the dialogue. I was also the arbitrator when there was an argument about whether or not someone had been killed and how long he had to wait until he could come back to life again. Q: What were some of your favorite—“can’t miss” programs? A: Wagon Train; Gunsmoke; Have Gun, Will Travel; and others that my parents watched, primarily The Ed Sullivan Show and What’s My Line. Q: How much do you think things have changed since then? Are viewers more involved in their programs and personalities—especially given the increased number of channels, or less so? A: Viewers are less involved in the fictional characters than they used to be, less likely to believe them to be real. Back in the fifties, the Lone Ranger got letters about life in the Old West, Captain Video got letters about life in outer space, and Eve Arden, who played the title role of a schoolteacher in Our Miss Brooks, received offers to teach in various schools. Today it is the non-fictional characters who seem to stir viewers most, especially the controversial political commentators. Q: As someone who worked in broadcast journalism, did watching TV influence your career aspirations? A: I never aspired to be on TV (and hope never to be on again, except to promote a book). Being a reporter was simply a way to make a living by writing until I could figure out how to be an author. Q: How else did television influence you? Your book tells both personal and universal stories? How much of what people saw on screen reflected their own lives? A: I don’t know what else I can say about TV’s influence on me, but I can say that television was a remarkably accurate reflection of life in the fifties, primarily as it portrayed the secondary roles of women and African-Americans in our society. Q: Where did you do your research for Invasion of the Mind Snatchers? A: Most of my research came from 2 sources: newspaper and magazine articles from the fifties about the effects of television, especially on education and the cohesiveness of the family, and from watching old TV shows at what is now called the Paley Center. Q: What did you learn that surprised you—since you lived (with/in?) much of the history you’ve written here. A: The biggest surprise was the bravery of journalists covering the racial uprisings in the South in the fifties. It was the noblest episode in the history of television news. Q: You include social/cultural political touchstones throughout the book to remind readers of what life was like in the 1950s—an age before cable TV, much less the internet! How great was television’s influence? A: Only the automobile can be compared to television in terms of impact in the 20th century. It changed everything from family dynamics, social events, role models, conversations at the office, clothing styles, hair styles and, eventually, race relations. Q: You champion Eve Arden, Bob and Ray, and Soupy Sales as well as Ed Sullivan, Lucille Ball, Burns and Allen, etc. Do you believe these performers might not have been the household names there are now were it not for TV? A: These people were all stars before television, some in the movies, some on radio. Television executives were as timid then as they are now; they did not want to take a chance on unknowns. Q: The second part of your book focus on the messages TV sent—from politics, to advertising to religion. How did politicians, advertisers (Mad men), and the church harness the power of television to communicate their messages? A: It is hard to say whether television changed politics or vice versa. It was some of both, but the latter was probably the greater truth. Television introduced the techniques of show biz into politics: jingles, shorter sound bites, more glamorous surroundings for the candidates. Religion was also a powerful force on television in the fifties, although it is impossible to say how influential it was. But all three major networks carried religious programs in those days. Today, none do. Q: You also indicate that messages about race, class and gender were not thinly veiled. Do you think this did more harm than good? Television did more good than harm with regard to race and gender. It did so deliberately with regard to race, in covering the civil rights disturbances in the South in the fifties. It did so inadvertently with regard to gender, as it portrayed women as such submissive beings that Betty Friedan was moved to write The Feminine Mystique, the unofficial beginning of the women’s movement. Q: What do you think television’s greatest and worst conquests over Americans were in the Fifties? A: Television’s greatest conquest in the fifties was bringing serious news events into the home without schtick or contentious debate. Its worst conquest was over good taste, as it helped to lower the common denominator of American literacy by providing such a powerful alternative to the book.